Eeeek! Oh Elena, they ARE cute together! SO CUTE! Adorable card! I love how the snowman looks like he's ready to give a big hug! Great play off the die-cut sentiment! Adorable! I like how you made the frame using the new Scalloped dies. This set is definitely on my wish list! That deer is so so cute and I love the BIG HUGS! Love the snowman on the deer. Oh, this is just so sweet & adorable! Adorable snowman perched atop the deer to go with the great word die. Gorgeous - love the snowman and the deer especially!! What a great way to combine sets! Love this fun Big Hugs die! It suits almost any occasion and is a bold statement. What an adorable card with the deer and his snow pal. Adorable card! 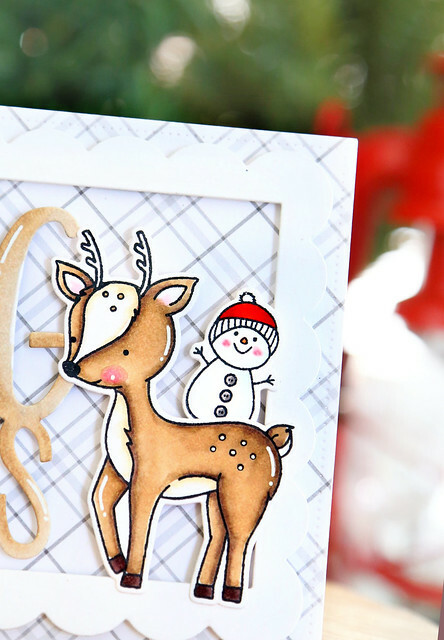 Love that sweet deer and snowman! The Big Hugs die is awesome! On my wish list! Lovely card! 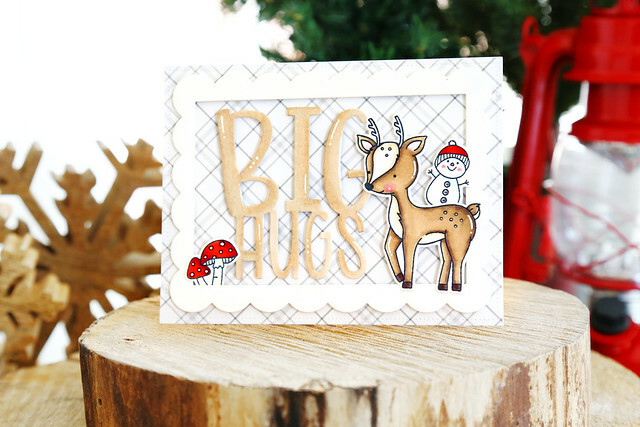 The Big Hug die goes so well with the cute deer! Very cute card. The reindeer is adorable. So cute--I like the framing. Love that BIG hugs and adorable deer! Such a cute card! The big hugs die is great and that little deer is so sweet. OMG!!! I love the deer!!! Too sweet and cute!!! such an adorable deer and card!